Qiewa Q1 Hummer Review. For the serious scooter fan, it’s go big or go home. If you’re done with the safe and simple and are now ready to kick your ride into high gear, you’re missing out if you haven’t even heard of the Qiewa Q1 Hummer Electric Scooter. This model is blazingly fast, and unbelievably comfortable. It isn’t your run of the mill scooter and it isn’t just your last-mile ride either. With an unassuming look, you’d never suspect that this model packs so much power for its size. 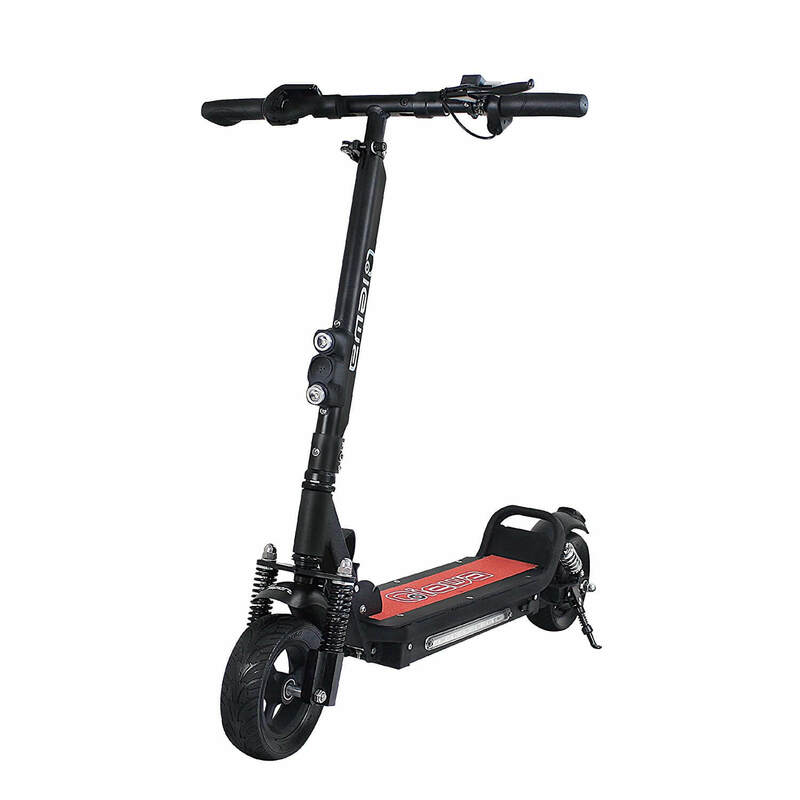 Accessory options make this the scooter of choice for the fanatic. 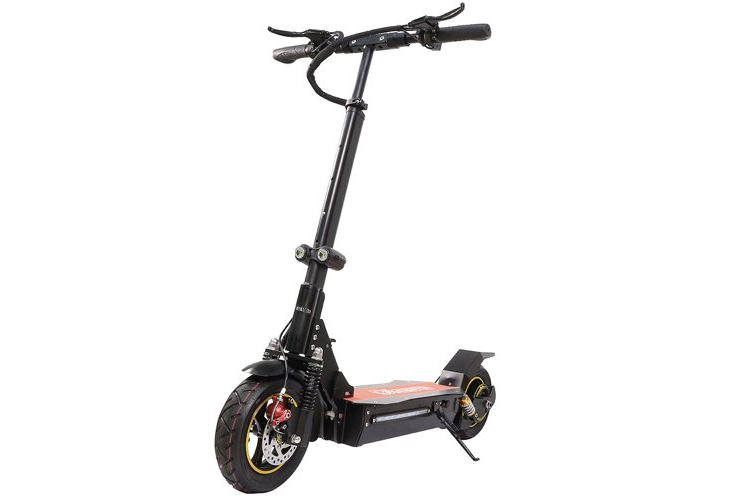 The Qiewa Q1 Hummer Electric Scooter is powered by an 800W motor and a 26Ah 48V 5C lithium battery. It lets you go up to a monstrous 35 mph, for a maximum distance of 62 miles on just a single charge. It’s very portable and travel-ready. Folding is easy. No need to fumble with so many latches and buttons. 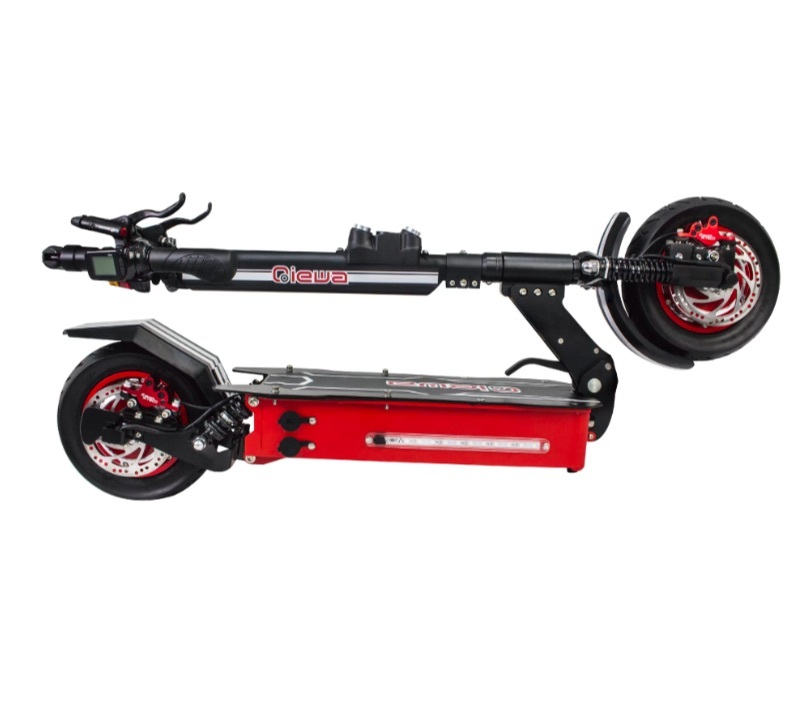 Features include a load capacity of 550 lbs (very rare in this class of e scooters), 10-inch tires, double disk brakes, a USB mobile phone charging function, and an IP65 waterproof certification. It also comes with its own brake lights, anti-theft alarm system and an optional detachable black seat. 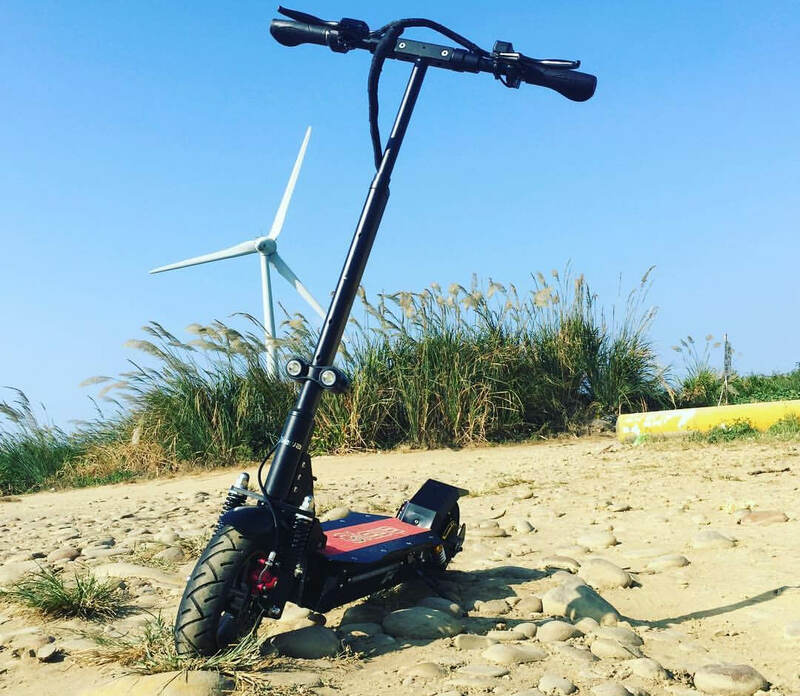 At 35 mph and 62-mile range, this Qiewa scooter is the best in its range. Reviews are positive for this model. 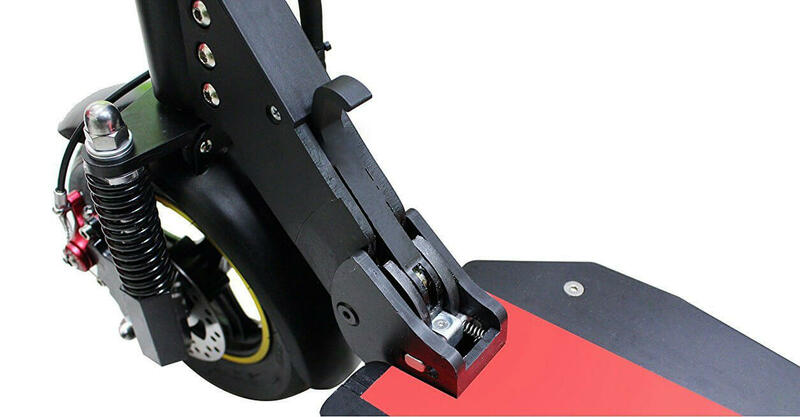 It’s easy enough for the novice rider to safely ride and yet can provide that thrilling speed all experienced riders expect in a scooter. 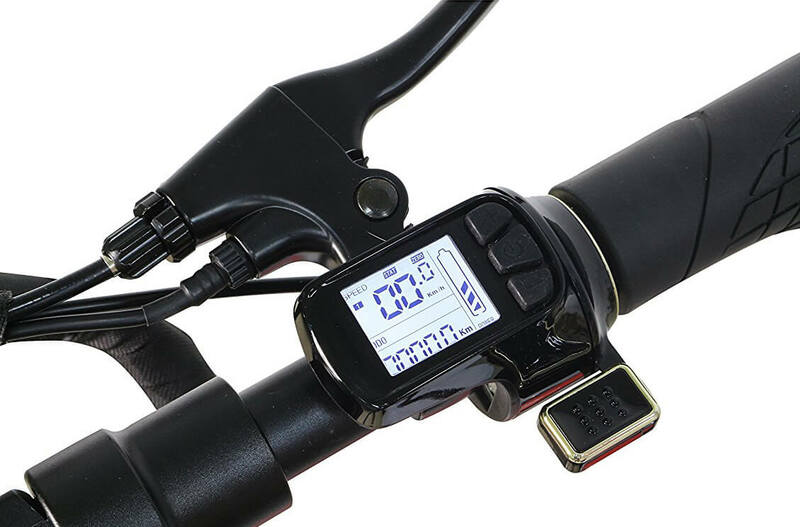 Customers love the product because of its speed, battery life, durability, and high-quality aluminum. The only con that we’ve seen so far has something to do with the packaging. But overall, this scooter is a winner. It isn’t the loud scooter with attention-grabbing design. Instead, it loves to blend in with the crowd – perfect for those who are avoiding envious stares. The Qiewa Q1 Hummer definitely looks good on paper. But riding it is a totally different matter. How good is it and does it perform? The short answer is YES! Extensive ride tests as well as focus group discussions have revealed that the Qiewa Q1 Hummer delivers on its promise. In fact, the same goes for several Qiewa Scooter models. Let’s start from the beginning… Fresh out of the box, the Qiewa Q1 Hummer is definitely hefty. But reviews assert that this is a reassuring factor. 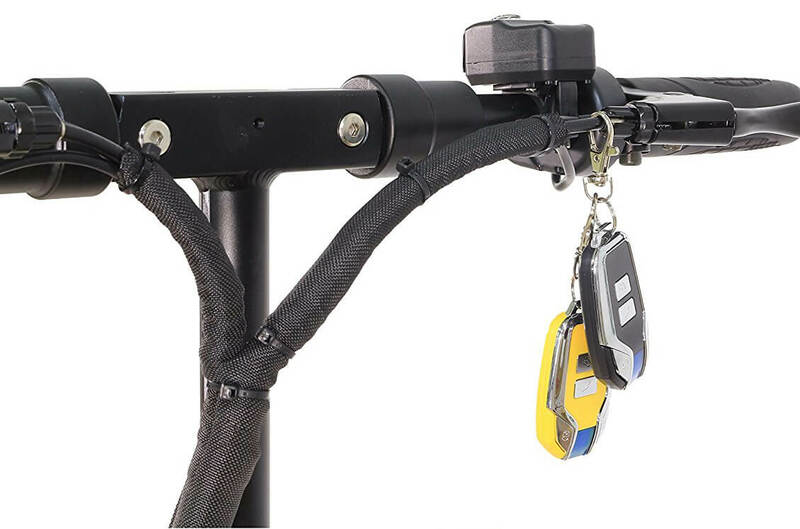 Weight has a lot to do with the quality and stability of a frame. We definitely don’t mind dealing with a little more weight for as long as it pays off in performance and quality. For most electric scooter enthusiasts, there exists a fragile balance among weight, performance and quality. So it definitely makes a difference when the composition of the unit is able to strike a balance between these factors. You will definitely feel the disparity if you’ve owned a lightweight electric scooter before. At 62 miles per charge, the Qiewa Q1 Hummer is definitely your performer. Couple that with the gargantuan 550-lb capacity … and other electric scooter have a giant to contend with. Imagine two burly men cruising on its compact deck! The Qiewa Electric Scooter is definitely robust for its size. The designers behind the Qiewa Scooter truly understand that speed and comfort aren’t the only factors that come into play. You want as much safety. There’s definitely a limit to riding skills regardless of how long you’ve been riding an electric scooter. 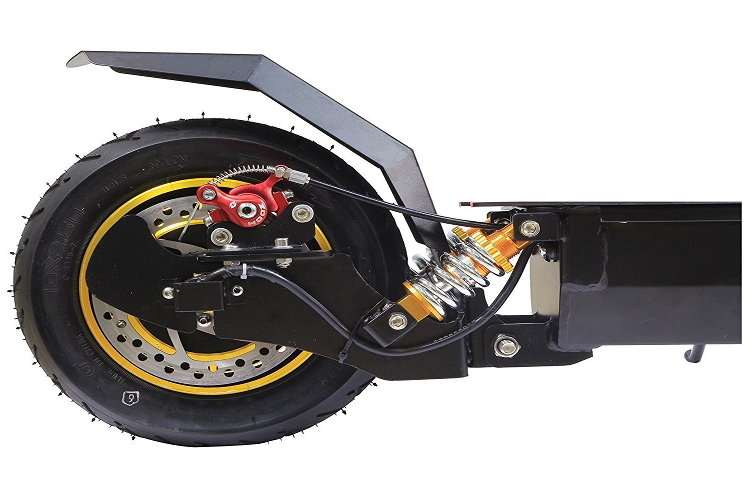 The biggest safety feature of the Qiewa Q1 Hummer is a front and rear disc brake. The only downside to this is maintenance and regular adjustment. 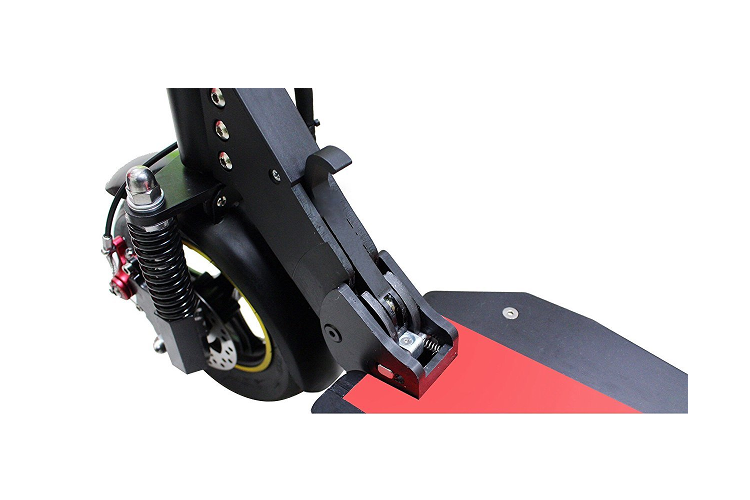 Owners who have reviewed this model say that they need to adjust the front and rear disc brakes on a regular basis to maintain the responsive braking. This is definitely not a con for us. When it comes to riding surfaces and conditions, the Qiewa Q1 Hummer is a performer. It works well in both smooth and off-road terrain. We wouldn’t push it as far when it comes to the off-roads – but it’s a reliable ride. We recommend this model for the older teen. Responsibility is key. No scooter is safe enough for irresponsible riders. Last but not least, the Qiewa Q1 Hummer is a chameleon – ride it from bike lane to the sidewalk to the road (and even off the road)! Get where you need to, fast and safe! One of the fastest electric scooters on the market today. 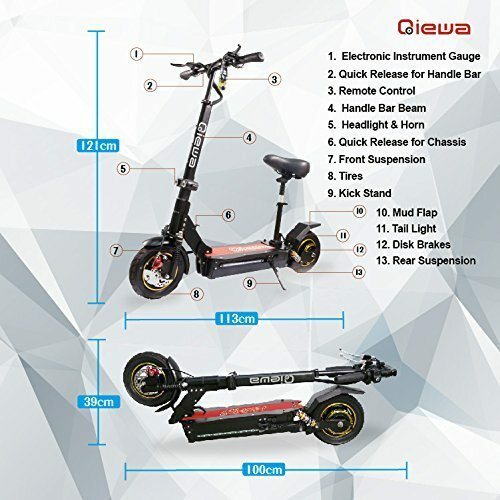 The Qiewa Q1 Electric Scooter is among the fastest and most durable e-scooters within its price range. With the total load capacity of up to 500 lbs, dual suspension, long range and amazing top speed it has all the bells and whistles a serious rider can crave for.